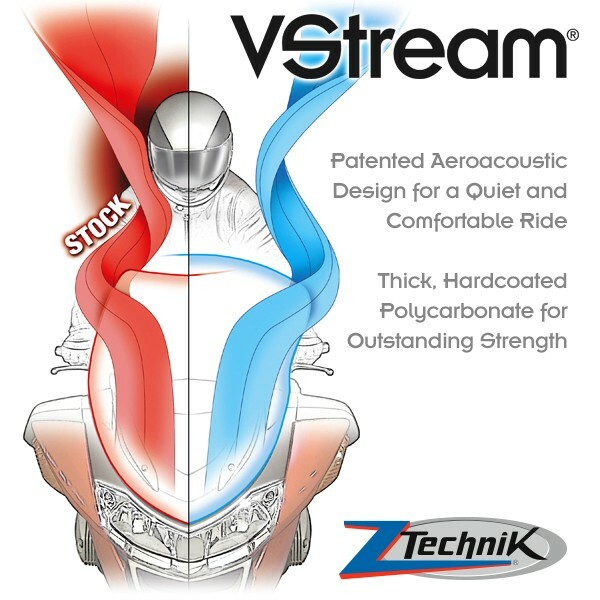 VStream® comfort, performance and durability are available for the F650GS rider! 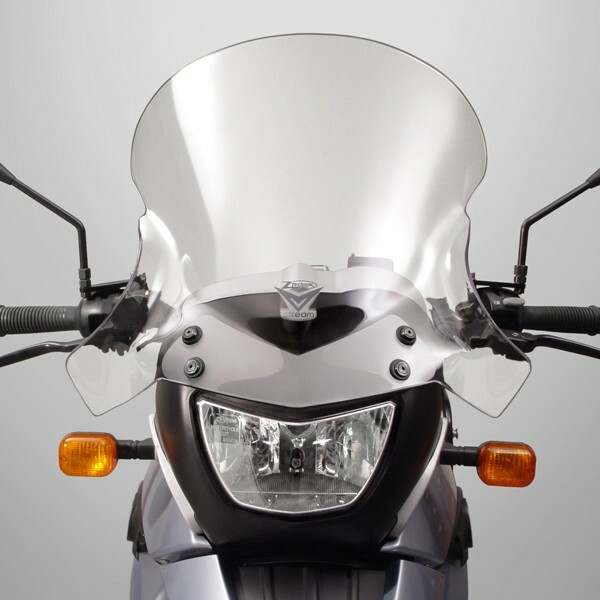 Compared to the OEM windscreen, the ZTechnik Z2413 offers significantly more coverage and wind protection, and will be a superior performer on long tours or in cold weather. 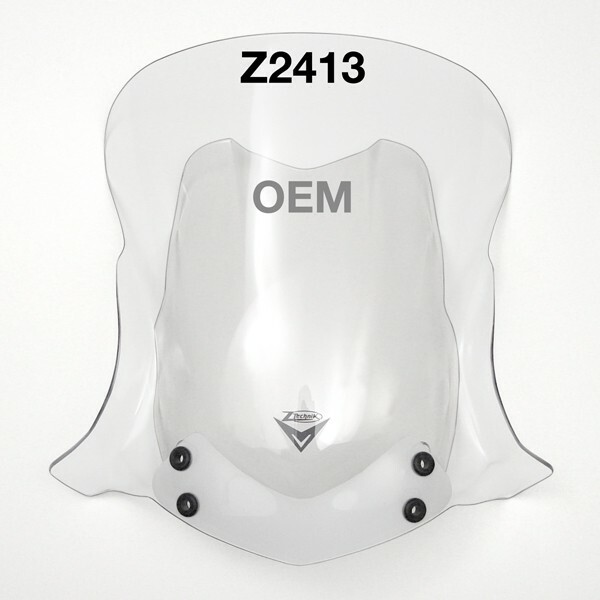 The unique cut and flair designed into the Z2413 VStream gives this screen a big advantage over stock. 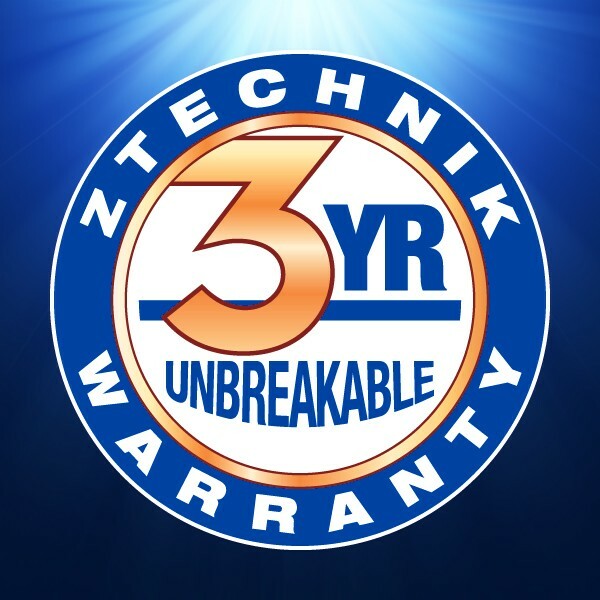 ZTechnik's Z2413 measures 5.00" taller and 4.50" wider. That's a big improvement! I bought my 2009 G650GS used in May 2014. I'm a "vertically challenged" (i.e. short) rider, so buying a GS and adding the farkles to essentially create a short GSA was my plan. 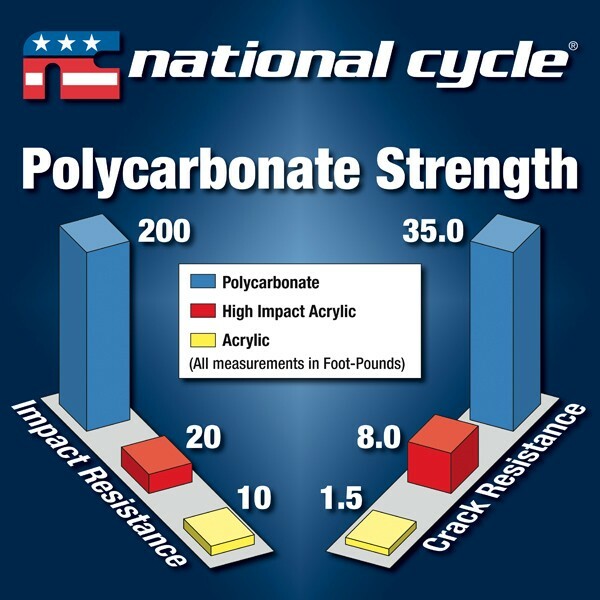 When I ordered this windscreen, I wanted the best buffer I could possibly get for the freeway, since I ride the bike to where I'm going off-road. 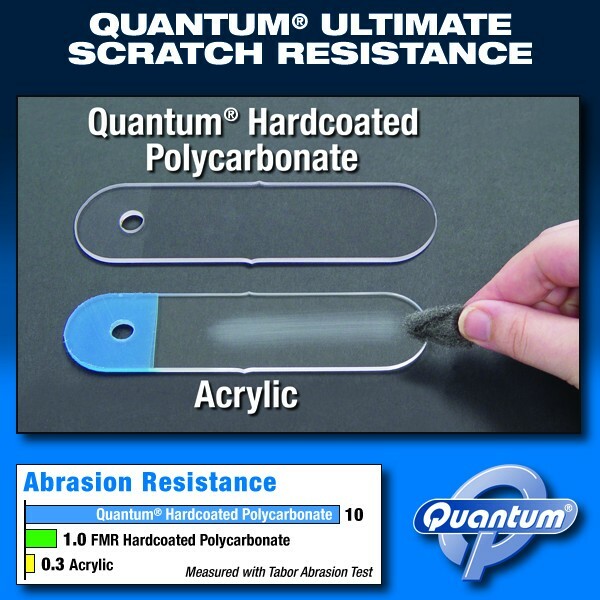 The windshield arrived as described, well packaged, and installation was very easy. It's a high quality product, looks very nice, and WOW does it protect me from the wind at ANY speed! I rode from Silicon Valley to Yosemite (~300 miles, round trip) through some notoriously extreme wind areas (we're talking wind turbine farms), with no issues whatsoever. 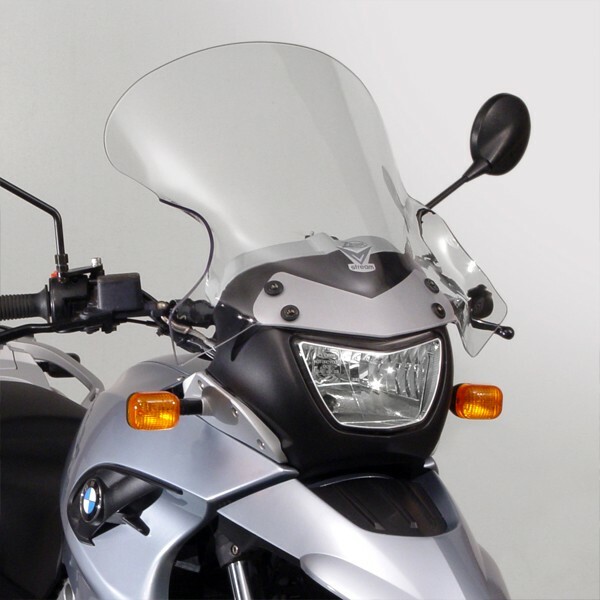 I finally got a chance to check out the new Z2413 VStream® Windscreen on my 2009 G650GS. It replaced an 18" Cee Bailey® windscreen. I'm 5'5" tall and the improvement was really noticeable. The air turbulence on my chest disappeared. Also, now there is no airflow pushing on my helmet (front or sides). The ride was more relaxing and much quieter, especially at freeway speeds. 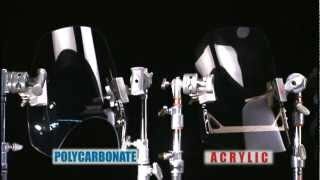 With the Z2413 Windscreen, the BMW hand guards, and my homemade hand guard extenders (this might be a new product for ZTechnik), the only air that I felt was on my arms between the elbows and shoulders. Riding at 65+ MPH is definitely more enjoyable now.